Krista Beller has been with MARSP since 2009 as the Financial Manager. Originally from Northville, MI, Krista obtained a Liberal Arts Associates Degree in Business Administration from Oakland Community College before graduating from James Madison College at Michigan State University with a Bachelor’s of Liberal Arts in International Relations and Political Economy. Krista’s previous experience includes account and office management. Sarah Botruff joined MARSP in 2017 as the Administrative Assistant. She graduated from Michigan State University with a Bachelor’s degree in theatre management and is originally from Fowlerville, MI. Her previous experience includes working as a stage manager, administrative assistant, production manager, and a mental health respite care provider. She has worked for the World Special Olympics Games 2015, the Wharton Center for performing arts, and The Capital Area Down Syndrome Association. 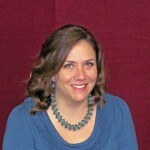 Kelli Cherrette joined MARSP in 2012 as the Member Services Coordinator. 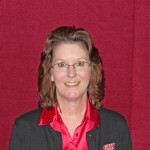 Kelli has 30 years of previous experience primarily in the field of Human Resources. Kelli earned her Associates degree in business from the University of Phoenix and also has her Professional Human Resources (PHR) certification. Kelli and her husband Patrick live in Bath. Kelli has a son and daughter and has been blessed with two grandchildren. 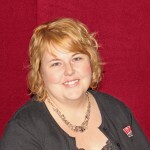 Mandy Hitsman has been with MARSP since 2009. She is the Communications & Member Advocacy Coordinator. 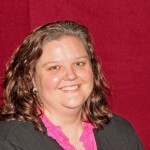 Mandy earned both a Bachelor of Science in Political Science (concentration in Public Administration) and a Master of Science in Administration from Central Michigan University. Mandy’s previous experience includes project and office administration. Mandy and her husband Fidel live in Alma with their three sons. Erin Parker joined MARSP 2011 as the Events Coordinator. 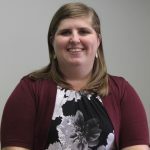 Erin is a graduate of Michigan State University, earning a Bachelor of Science in Animal Science and a Master of Science in Agricultural Extension Education. Erin is also a Certified Meeting Professional (CMP). Erin’s previous experience includes working for MSU’s College of Agriculture and Natural Resources in the Office of Academic and Student Affairs and the Office of Diversity and Pluralism coordinating events and advising student groups. Erin lives in Lansing and enjoys spending time with her niece and nephew.